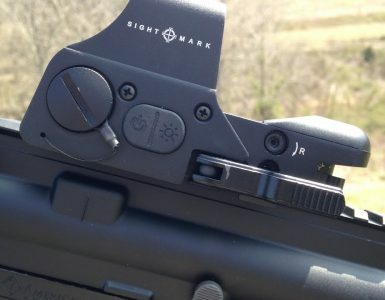 Performance is fundamentally important when it comes to red dot sights and it has also become a staple feature on the AR-15 and M14 variant models to not only improve the accuracy but improve the tactical ability of the user. 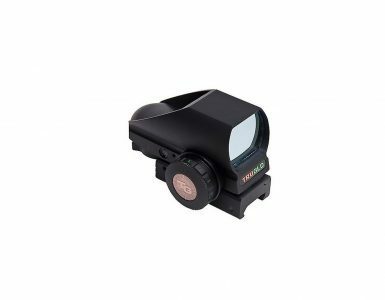 However, finding a state of the art red dot sight is not always easy, especially if you are looking for the best value for your money. 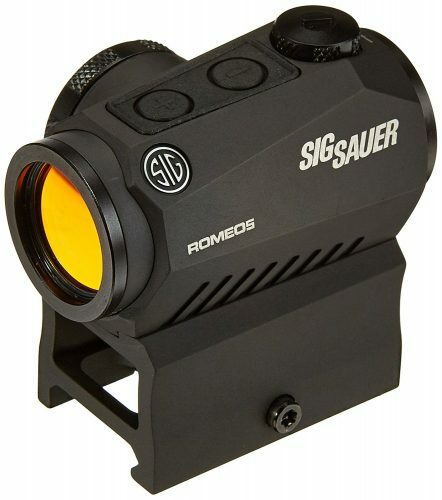 The Sig Sauer SOR52001 Romeo5 1x20mm Compact 2 Moa Red Dot Sight is designed to match most of the competition and since Sig Sauer is one of the best brands on the market today, it should be no surprise that this scope has risen in popularity. In this article, we discuss some of the impressive features and look at how this scope could help you on the course or in tactical situations. Lightweight aircraft grade aluminum frame with a tubular housing. MOTAC (Motion Activated Illumination) senses motion and turns on illumination, but turns it off if no motion is sensed. Easy to switch battery slot for replacing the old batteries. The scope includes an M1913 Picatinny interface, giving you industry-standard mounting options. Designed mostly for the AR-15, the Sig Sauer SOR52001 Romeo5 1x20mm Compact 2 Moa Red Dot Sight makes a massive impression on many users. With the 1.41-inch riser mount, it enables the user to co-witness on most flattop AR rifles. The Picatinny rail makes the scope incredibly easy to mount on most rifles without taking too much time. When looking at the scope itself, you will notice that the optics have been multicoated. 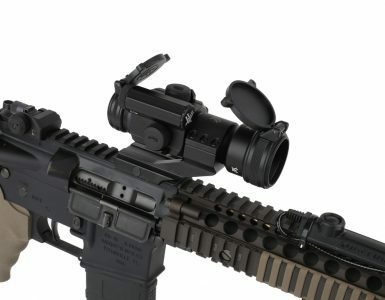 The multicoated optics will enable the user to use the scope in virtually all conditions. One of the main benefits of the multicoated optics is blocking out most of the glare from the sun and give you a clear vision of the red dot at around 100-yards. Durability seems to be one of the focus points of this scope. Since it will remain impervious to water for 30-minutes when submerged up to 1-meter deep, the scope can be used in all conditions. The scope has also been tested to be fog proof, enhancing the usability and making it easy to use in when the rain sets in. One of the things we found to be the best is the aircraft grade aluminum housing. This housing is extremely durable and it also features the ability to withstand minor bumps and shots. Next, we had the opportunity to see how the MOTAC sensor works in conjunction with the illumination settings. This sensor is extremely sensitive and it also enables you to save on the battery when the scope is not in use. The 10 different illumination settings are perfect for shooting at night. However, your distance will be greatly reduced if you choose to go night shooting. One of the main problems when looking at this scope is the red dot itself. It does not really appear to be as much of a dot, but more of a smear with a target. The scope could have also benefited with an additional green dot being added. This could have helped users who might be sensitive to brighter color like red. However, once your eyes do adjust to the scope and the sights, you will find it to be really functional as well. While it does have some excellent features, the scope might not be suited for every buyer. However, if you are looking for something really affordable to get you started, this will be one of the ideal options to consider. Sig Sauer has also included a state of the art warranty and this limited lifetime warranty is sure to give you some peace of mind just you might need it. Overall, we would definitely recommend this scope. With simple and easy mounting abilities, the scope can be used on a wide array of rifles. In tests, it also holds the zero quite well and while we have not tested it with too many rounds, we believe, it should stay zeroed. Should you have any problems with this, the Sig Sauer massive warranty will definitely have you covered. Value is always fundamentally important and with this scope, you can be assured of having great value for your dollar. As mentioned, Sig Sauer is also a state of the art brand and if you include the Magpul Industries USA MBUS Front & Rear Flip Up Backup Sight, you will be able to easily co-witness on most rifles. However, this will add to the price. We would like to thank you for reading this article and encourage you to share some of your thoughts on this sight. Let us know if you have ever used the Sig Sauer SOR52001 Romeo5 Red Dot Sight and if we might have missed any other key specifications that you might have seen. We look forward to seeing some of your comments.